What Is the Best Management of Cyclic Vomiting Syndrome and Cannabinoid Hyperemesis Syndrome? 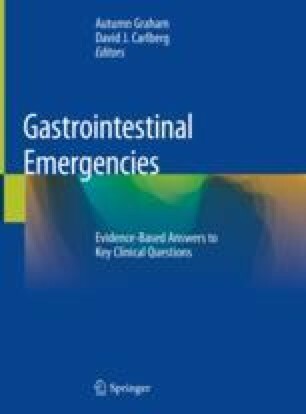 Cyclic vomiting syndrome (CVS) and cannabis hyperemesis syndrome (CHS) are both poorly understood functional gastrointestinal disorders characterized by acute episodes of severe nausea and vomiting, separated by asymptomatic periods of weeks to months. CVS and CHS are diagnoses of exclusion, and a broad differential must be considered to exclude more severe etiologies. No standard evidence-based regimen exists to manage CVS or CHS. Intravenous fluids and antiemetics are the mainstays of treatment for CVS and CHS, although dopamine antagonist medications and topical capsaicin show promise in the treatment of CHS. The only proven long-term treatment of CHS is cessation of cannabis use.